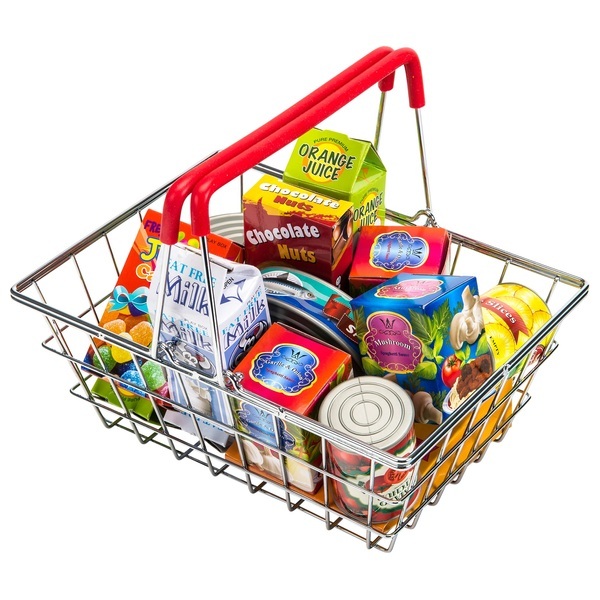 Your little shopper can run errands just like Mum or Dad with this realistic stainless steel shopping basket! This item is lightweight and easy to carry, with plastic grips on the handle. The item also includes fourteen groceries that will fully stock the basket! Your little shopper will love role playing with this realistic set.